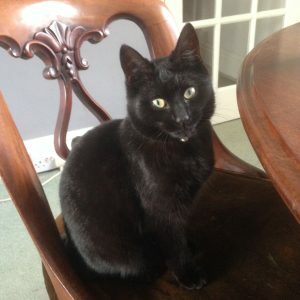 On 1 January 2017, I started my first house and pet sitting gig. It’s actually my second if I count the time that I looked after Illa Wasi Retreat Centre in the Sacred Valley of Peru with the company of two gorgeous puppies. I lived at Illa Wasi for 9 weeks working in exchange for food and accommodation and felt like I was living heaven on earth every day in the Andes mountains. At the beginning of December, I attended a Lucinda Drayton Concert at The Monastery which was jointly promoted by Mastery Path and my first offer of a house and pet sit came from Julie Baillie who was sitting at our Mastery Path table. She was away from 1 January to 22 February so I moved in to her house as temporary guardian during this time. I did a huge amount of emotional clearing as my long-term relationship status had changed on 26 December from partners to ‘friends’. Being alone was a perfect opportunity to be still, go within, clear the grief and sadness which was coming up at the ending of my relationship, and to reflect and recharge. 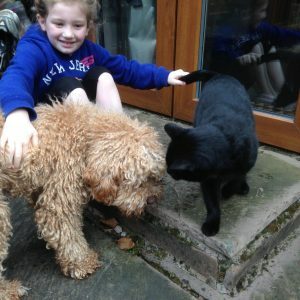 My granddaughter Evie came to stay for three days during half-term and enjoyed playing with Margaret the timid kitten (Julie said she was less timid when she returned), feeding the carp fish, fishing leaves out of the pond and helping me maintain the house. The seven and a half weeks in Bispham Green (Near Ormskirk) flew by and after hibernating, it was time for me to be seen in the world again. Whilst at Julie’s, I had a Skype call with Julie Bryant (founder of Naked Dragon Events) and she asked if I’d be interested in doing a house-sit with her in Turkey flying out on 26 May and returning on 29 June. She didn’t need to ask twice – five weeks in the sun was a YES for me! We confirmed and sorted our flights out a few months later. Lesson for me – book flights straight away as the price had doubled by the time we booked (it was a bank holiday weekend). I also had a Skype call with Elizabeth HeartStar Keller who I’d met in Glastonbury in 2008 and we’d subsequently participated at Bee Here Now Festivals in Avebury for the honey bees. Elizabeth lives in Sedona and told me she would be visiting Glastonbury in April; she asked if I’d like to meet up. When she found out I was house and pet-sitting, she asked if I’d be interested in supporting 92 year old Thelma as a live-in companion whilst she was recovering from pneumonia. Of course I said yes – we just needed to firm up the dates. Elizabeth is a gifted astrologer and she gave me a reading as a birthday gift which I was very grateful for. My second house-sit came through word of mouth from Julie Bryant who had seen in one of the house sitting forums that Sue and Wayne Morris from Staylybridge needed a house-sitter urgently as the one they had lined up had broken a leg, therefore unable to walk their dog. She asked if I was able to help – and I was delighted to. 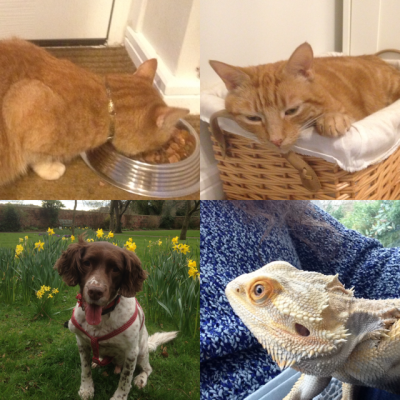 I went to visit them and agreed to look after Cosmo the English Springer Spaniel, Cookie and JJ the lovely ginger cats, and Rafiki the Bearded Dragon. 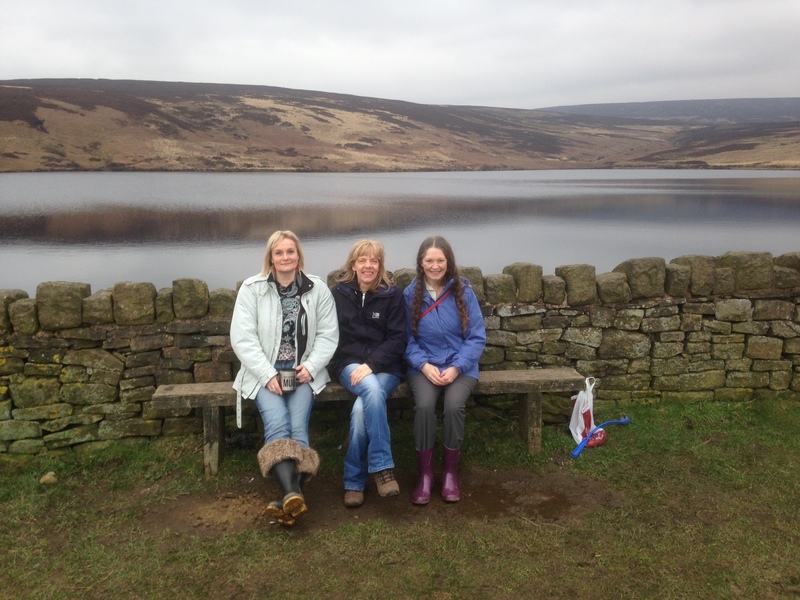 I loved my time in Stalybridge in the lovely modern detached house which was cosy and warm – a contrast from the first house which was beautiful, had stunning views over the countryside but very cold. The first day, I sat down to do some work in the conservatory but found myself distracted with the view of the garden and countryside which was heavenly. I focused on my essential oil business in-between walking Cosmo in the local area and playing with Rafiki as I’ve never spent much time with reptiles before. The cats loved cuddles and we were a very happy family. Whilst staying in Stalybridge, I enjoyed spending time at The Monastery supporting their free Healing Days (which take place the first Sunday in every month). With my team, we offer free iTovi Bioresonance Scans and essential oil consultations with personalised report which prove to be very popular. After seeing one of my Facebook Live postings, one friend, Gillian Prior, recognised her house and we arranged to go for a walk through Stalybridge National Park and up to the reservoirs. We were joined by our friend Lois Stevenson and had a fab afternoon out with Cosmo who never tired of playing fetch with his ball or sticks which he’d pick up and become fixated on. I was invited by Diane Hughes to teach a Raw Chocolate & Essential Oils Class at her home on 7 March and took Cosmo the dog with me to play with Diane’s English Springer Spaniel Cassie. Kerry Dawson attended the class with her gorgeous golden Cockapoo puppy called Walter who enjoyed playing with Cosmo and Cassie. Kerry asked if I’d be able to look after Walter and her cat Tinks from 22 March to 10 April and the dates tied in purrfectly! So I left my house-sit at Stalybridge in the morning of 22 and drove straight to Kerry’s house in Rawtenstall. Divine timing at play! I had a wonderful time and Walter became my shadow and was a big hit with my family when I took him to visit. Evie spent 3 days with me during the house-sit and we had such fun! Walter was a pampered pet and we frequently washed his curly fur with Tropic body wash in the shower after taking him for a walk as his coat was like a sponge, soaking all the mud and water up from the fields on our daily walks. Occasionally Tinks would follow us up the lane then saunter back to the house on the edge of the beautiful Lancashire countryside. 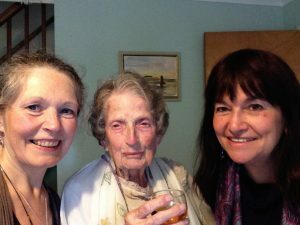 I returned to Burnley for a few days to spend time with friends and family then drove down to Glastonbury on 13 April and stayed with Thelma Daisy Moeran until 15 May. I loved my time with Thelma – such an inspirational lady; I enjoyed finding out about her life, how she was one of the code breakers during WWII; how she’s travelled extensively; how she follows guidance from spirit … She is the custodian of an ancient Himalayan Crystal Skull called Yangtze and channels inspirational poetry whilst meditating with the skull which has positive messages for humanity. It was a pleasure staying with Thelma and helping her to celebrate her 93rd Birthday. And I love how I got to see Elizabeth again after many years. We never know where connections are going to lead us. When we live in the Divine flow and surrender, magic happens effortlessly. Offering free iTovi scans to the Glastonbury community towards the end of my stay opened up new opportunities and I loved reconnecting with old friends and making new ones. Spending time in our ancient Avalon felt like going home and I feel I’ll be spending more time there. Here’s an Soulpreneur interview that David Steele did with me towards the end of my stay in Glastonbury. I left Glastonbury on 15 May and went straight round to visit my daughter Emily who had given birth to my first grandson (and third grandchild) Jakob. What a joy it was to be reunited with my family and a blessing to meet Jakob for the first time. If you’re interested in following my house and pet-sitting adventures, check out HUGS House & Pet Sitting Service on Facebook. Contact me by email if you’re looking for a house or pet-sitter to check my availability and to see if this is a good fit for us both. If I can’t help you, I may be able to connect you with someone who can. I’m now a Digital Nomad, making money through my doTerra essential oil business whilst travelling. As long as I have a decent internet connection, I can work from anywhere in the world. 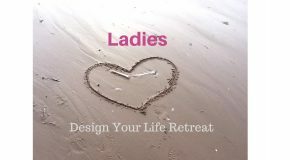 I’m hosting a retreat for Ladies who want to Design their Life and Make Money Whilst Travelling 22-24 September 2017. Here’s the Facebook event with links to interviews I have done which have already inspired many ladies and given them ideas as to how they can create an income. I’ve chosen the retreat dates to tie in with the energies of the Autumn Equinox. Glastonbury is the heart chakra of the world and the energies are very powerful here. We’ll be doing work on ourselves and visiting sacred sites as part of the retreat. Come and join us if this resonates with you.